Calm dusk blue hour time of day. 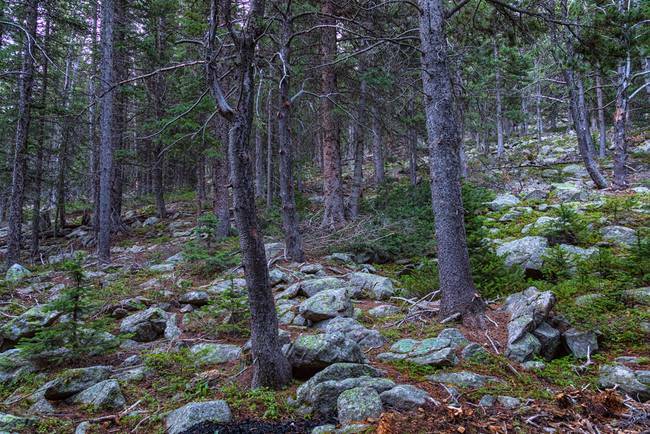 Scenic view of a pine tree forest with the texture of large rocks covering the ground, kind of like putting the “rocks” in Rocky Mountains. Peaceful beautiful wilderness area of the Colorado Rocky Mountains. Fine art photography by James Bo Insogna.